China Pipe Fitting Manufacturer www.metallicsteel.com supplies Steel Pipe fittings, Special Pipe Fittings, available Custom Pipe Fittings in all kinds of materials, such as carbon steel, stainless steel, alloy steel, etc. China Reducing Cross Manufacturer www.metallicsteel.com offers ASME B16.9 ASTM A403 304L SMLS Reducing Cross, 2-1/2 Inch × 2 Inch, Sch40. China Threaded Cross Manufacturer www.metallicsteel.com offers ASME B16.11 ASTM A182 F316L Threaded Cross NPT, DN20, Class2000. China Bleed Ring Manufacturer www.metallicsteel.com offers ASME B16.5 ASTM A182 UNS S31603 Bleed Ring. China Pipe Cross Manufacturer www.metallicsteel.com offers ASTM B366 UNS N10665 Pipe Cross. China Pipe Cross Manufacturer www.metallicsteel.com offers ASME B16.9 ASTM A403 304L Equal Cross, DN200, Sch10S. China Bellow Expansion Joint Manufacturer www.metallicsteel.com offers 316 Bellow Expansion Joint Flanged, 3 Inch, PN10. China Hex Head Plug Manufacturer www.metallicsteel.com offers ASTM A105 Thread Hex Head Plug, 1 Inch, 3000 LBS. China Pipe Saddle Manufacturer www.metallicsteel.com offers EN1092 ASTM 304 Threaded Pipe Saddle, NPT, 6 Inch – 1/2 Inch, PN10. 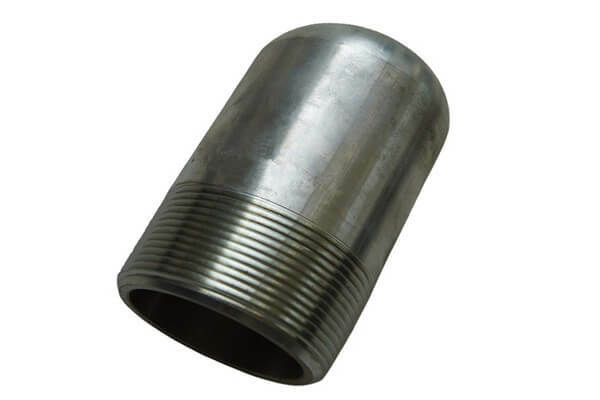 China Pipe Plug Manufacturer www.metallicsteel.com offers ASTM A105 Theaded Bull Head Plug, NPT, 2 Inch, SCH80.